I promise that I have not stopped thinking about sewing. I hope to make a start on something at the weekend, but I have a haircut booked for Saturday afternoon, which puts the spanner in the works. I like to immerse myself in a sewing project until it’s done. Ah well – that’s what I get for vanity! 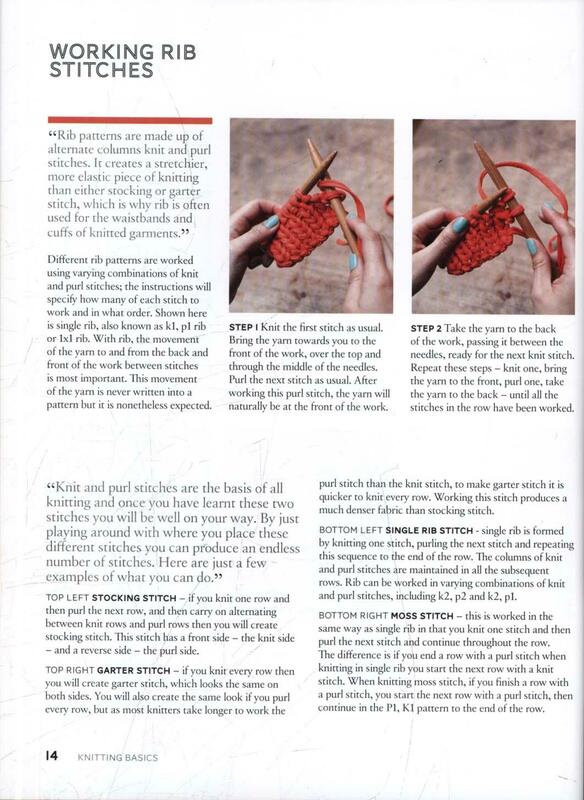 So this is another one for the knitters and the wannabe knitters. A while back, someone left a comment asking for a recommendation of a “how to knit” book. At the time, the best I could do was suggest watching you-tube videos, as I didn’t know of a really good book. Well, this week, my position has changed. Yes, I would still recommend finding a human teacher, either in person (with coffee and cake to hand) or on the internet. But now I can also point you towards an exciting, inspiring and practical “how to” book – woo hoo! “Learn to Knit, Love to Knit” was published in September 2012, but I only came across it in the latest issue of Knit Now magazine, where the rather hip and funky stripey raglan sweater pattern pictured below is reprinted alongside an interview with the author, Anna Wilkinson. Anna does have a Ravelry account but she is not very active on there, which I think is missing a trick in terms of getting herself “known” in the knitting world. It’s certainly my first stop for all things knitterly. 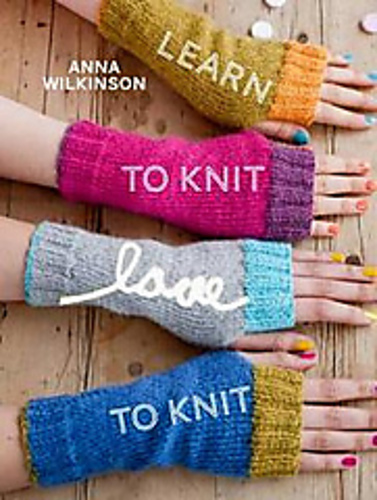 The book is divided into two sections: the first has lovely clear photographic instructions of How To Knit (English style) and a set of truly inspiring Beginner patterns. Seriously, even an advanced knitter will be enticed by these projects, especially for quick gift-knitting. The author has a great eye for colour, with sharp citrussy brights set against heathery natural shades and appealing “young” styling (check out that nail polish!). The photos wouldn’t look out of place on a fashion blog, and I think that’s important if you are trying to attract a new generation of knitters. The second section is “Love to Knit” and the stamina-level required for these projects is definitely higher. They are not necessarily “difficult”, but do require a greater level of commitment than a bulky-weight hat or scarf. And these are the projects which made me REALLY want a copy of this book for myself. They have that “wow” factor. They are aspirational projects. 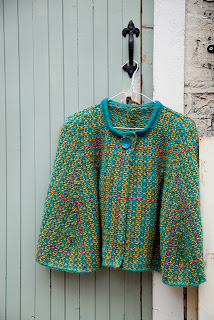 Some would say they are too much of a challenge for new knitters, but I really believe in the power of desire – if you really really WANT that sweater, you are much more likely to stick with the learning process and plug away at the acres of stocking stitch or tricky fair-isle until you complete it. They put the fire in your belly! There are 12 cute little vintage-y sweaters and cardi projects in this book, including a cape of swoon-tastic-ness which I will have to knit before the year is out. The garment patterns only go up to a UK size 16 which will be issue for many, I’m sure. But beyond the intrinsic gold star quality of the patterns, I also view this book as a springboard to learn and explore so many techniques: lace, cables, socks, mitts, a hat, colourwork – you get a little taste of so many possibilities that I defy any creative person to come away feeling “meh” about the prospect of knitting. So, if your New Year’s Resolution is to Learn to Knit – get a copy of this book! No, I was not sponsored to write this post. The opinions expressed are my own.